"I&apos;ve really been into bones since I was little. I don&apos;t know why," says Emory University senior Alexandra Davis, an anthropology major. "Not fresh bodies, though. No soft tissues or blood. Just bones." 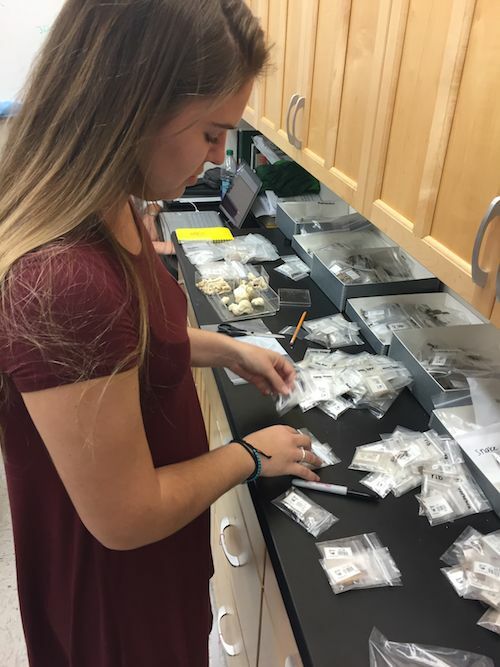 Now Davis stands before a counter in Thompson&apos;s lab, sorting through the thousands of bone fragments she helped recover — cleaning them, categorizing them — then placing them into clear, plastic Ziploc bags. 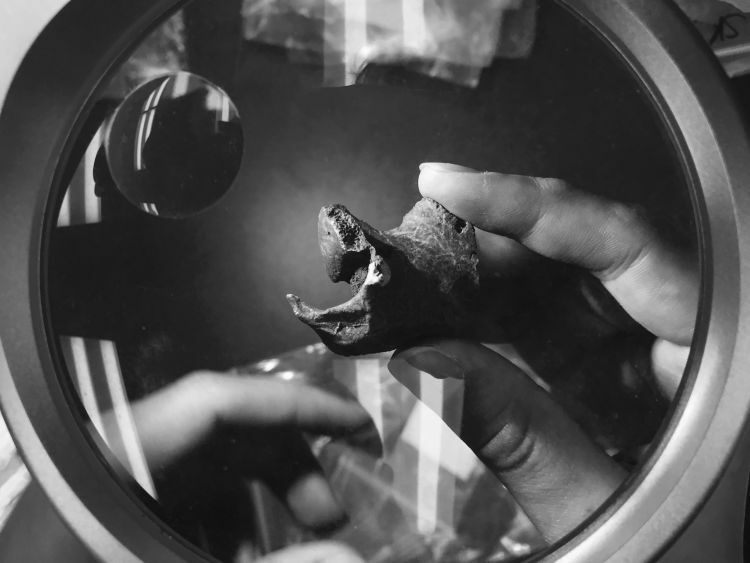 The bags labeled "Metapodial" and "Phalanx" contain bones from the hands and feet of mammals. 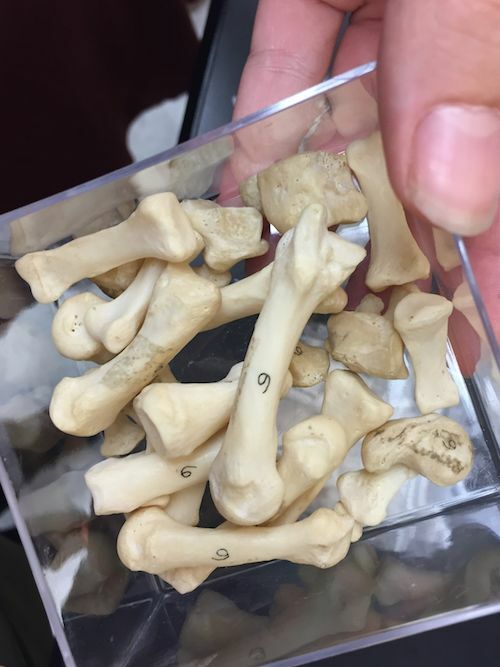 "We think this one might be from a human," Davis says, indicating a phalanx set aside from the other bones, that are all likely from animals. "My friends who aren&apos;t into anthropology would be like, &apos;Oh, no! A human toe!&apos; But we were all really excited," she adds, indicating her fellow students at work in the lab. 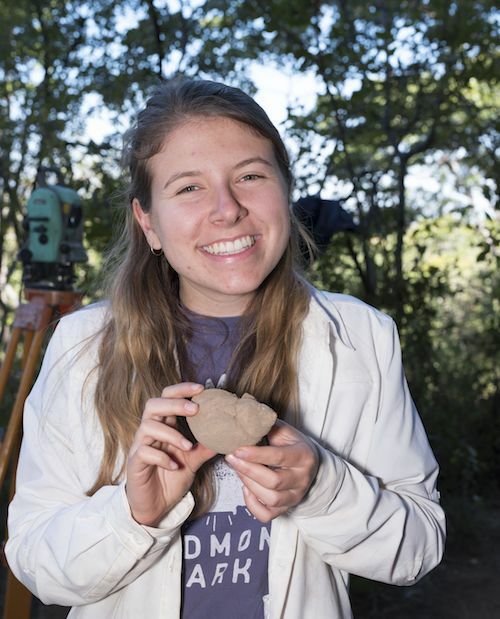 Anthropology PhD candidate Grace Veatch is passionate about tophonomy — studying bones to learn how an animal died and its remains decayed. "Ultimately, I&apos;m trying to understand the evolution of the human diet," she says. She opens a specimen drawer and pulls out two small, plastic boxes. One contains loose pieces of fur from a rat. The other holds a few fragments of the rat&apos;s bones, including a couple of teeth. These are the dissected parts of a modern-day owl pellet, she explains — the indigestible bits from an owl&apos;s meal that it regurgitated as a compacted mass. Ancient bones are compared to modern-day samples. 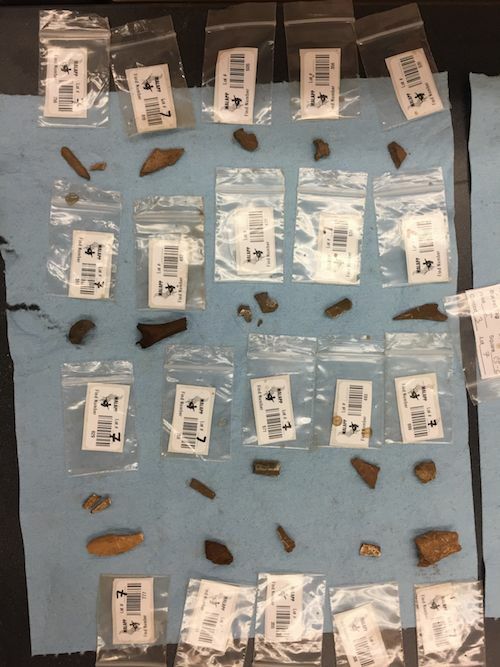 After the surfaces of the ancient Malawi animal bones are cleaned, Veatch will compare them to these modern samples. "Rock shelters and caves tend to have the remains of small animals accumulated from owls and other roosting birds," she says. "When avians regurgitate small animals, their stomach acids leave small pits on the surface of the bones." Veatch will also check the animal bones for tell-tale signs of cut marks from the stone tools of the hunter-gatherers. Emory senior Alexandra Davis sorts through bone fragments. Recovered fragments are painstaking sorted and stored. 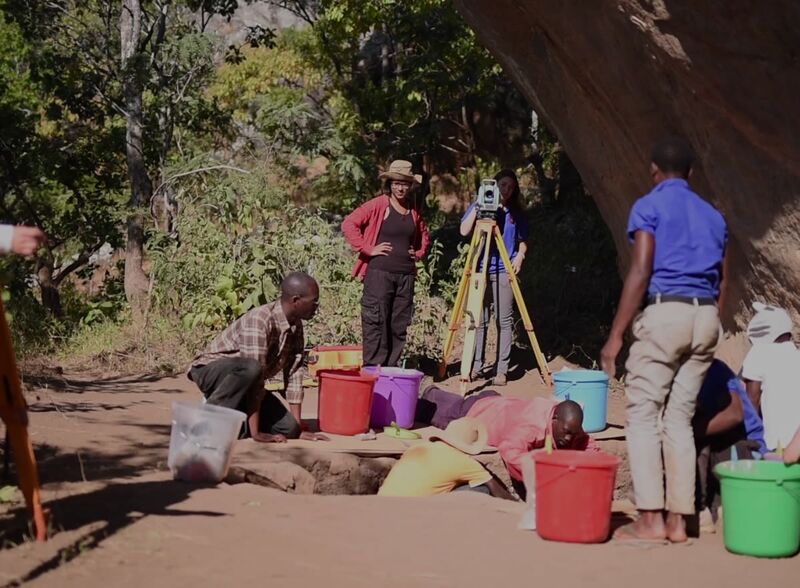 Thompson&apos;s fieldwork in Malawi has uncovered hunter-gatherer remains that yielded DNA ranging in age from about 2,500 to 6,100 years old. And her work is ongoing at a site where a skeleton recovered in 1950 was recently dated to 8,100 years ago and also yielded DNA. 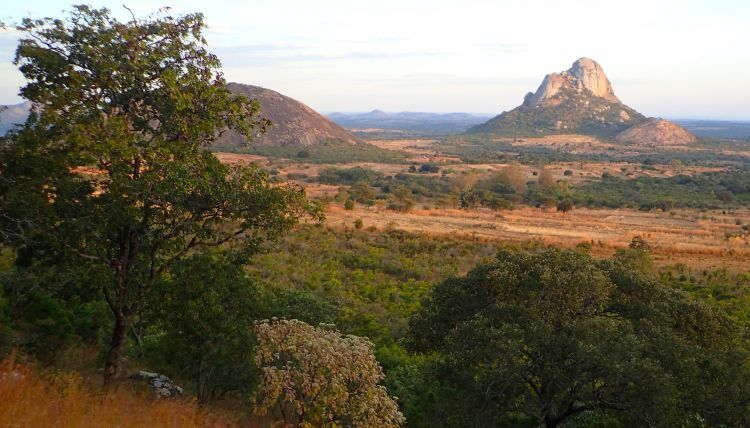 The samples are by far the oldest-known human DNA from Africa, preserved by the cool, arid ecosystem of the highlands of northern Malawi. Rock shards from the toolmaking of the ancient hunter-gatherers are spread out on a lab table where sophomore Alexa Rome and junior Aditi Majoe, both anthropology and human biology majors, pore over them with magnifying glasses. 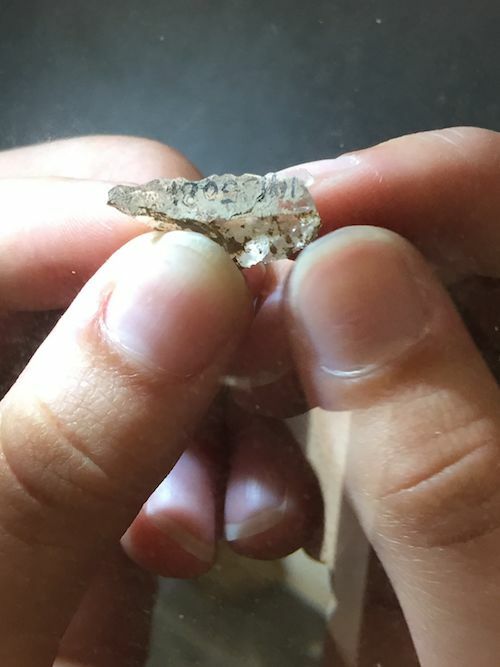 Many of the shards are barely bigger than a thumbnail — likely the flakes that shattered and fell as the hunter-gatherers shaped a tool from a stone core. A quartz fragment under the magnifying glass. "Quartz is relatively easy to break and you can get really sharp edges from it," Majoe says. "It&apos;s hard to examine, though, because it&apos;s clear." 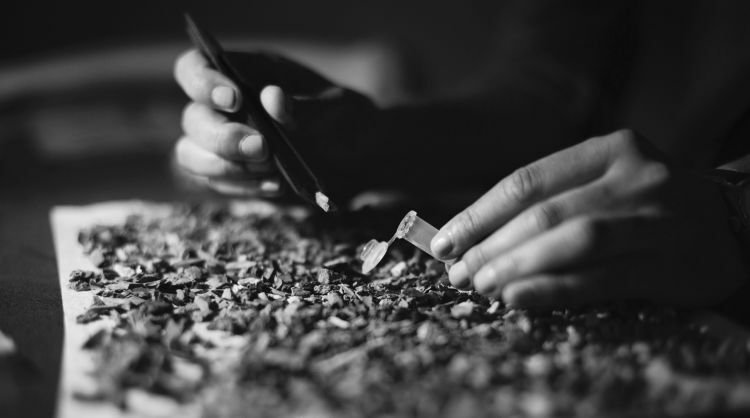 She eyes the edges of a luminescent flake to determine whether it is lithic — altered by human hands. "The tools that Stone Age people used are a really important part to their story," she says. "You can learn a lot about their behavior from the things that they made." Brain evolution and stone toolmaking go hand in hand, Rome adds. "It takes a lot of cognitive abilities and accumulated knowledge. 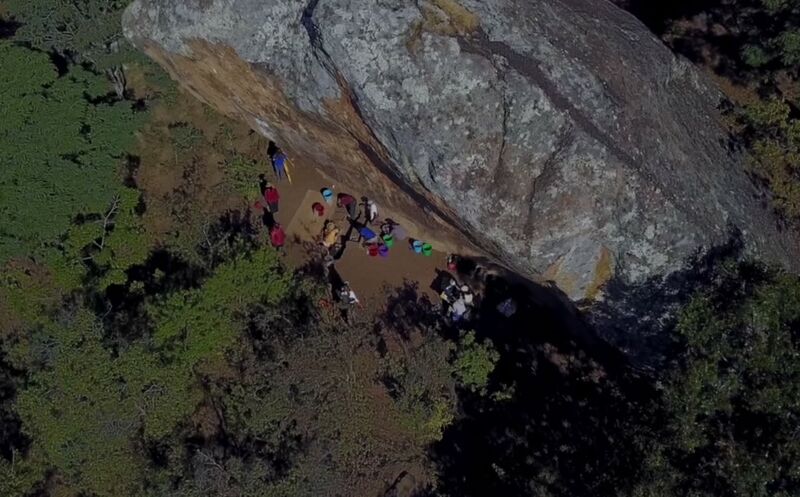 You have to know just where to hit a rock to make it shatter in the right way." 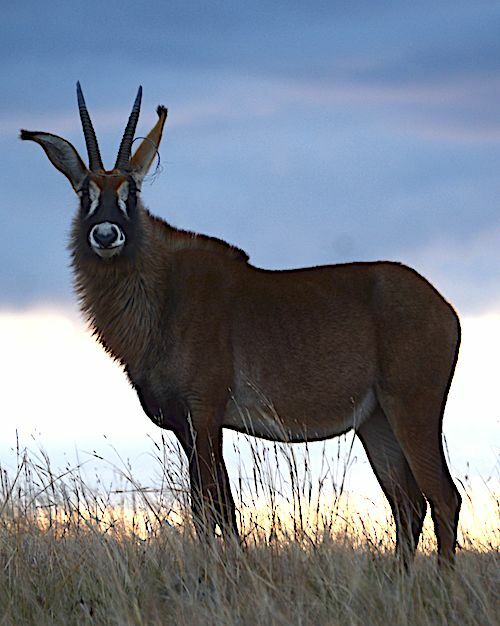 Antelope in the chilly Malawi highlands have shaggy coats. 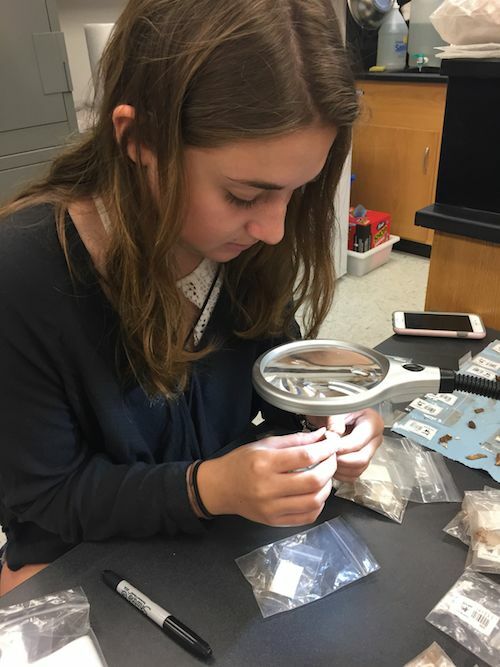 Alexa Rome examines stone fragments in the lab. "I&apos;m the shell person," says Emory junior Suzanne Kunitz, who is majoring in anthropology and human biology and psychology. She opens a specimen drawer in the lab and brings out the shell of an African giant land snail, from the genus Achatina. The shell is a bit longer than her palm. Its brown-striped whorls decrease in size to form an elongated spear shape. On a table nearby are Achatina-shell beads recovered from Malawi — flat discs, about the size of asprin tablets, with holes poked through their centers. 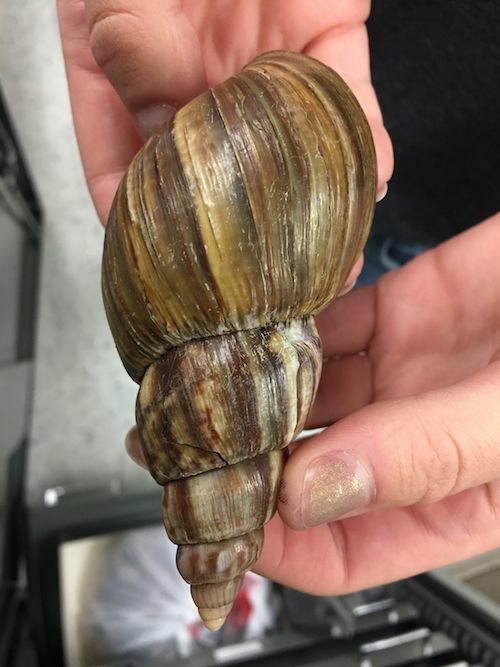 A lab sample of the African giant land snail, from the genus Achatina. "Not much research has been done on ancient shell beads, but to me they&apos;re really interesting," Kunitz says. "I&apos;d like to know whether all the hunter-gatherers wore the beads and why they wore them. Did they have a ritual purpose? Or were they just for decoration?" 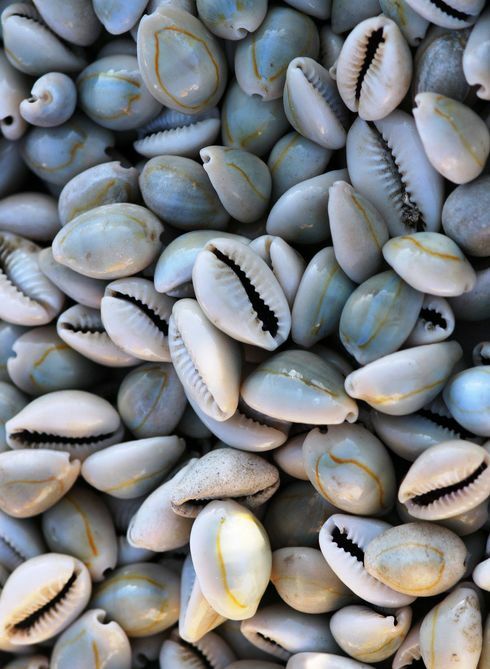 While almost all of the beads recovered at the Malawi sites were from the Achatina, the upper layers of one site yielded two beads made from the shell of cowry, a sea snail that is not found near the landlocked region. "That&apos;s evidence that people were trading across long distances when that archeological layer formed," Kunitz says. A few other recovered beads were made from ostrich eggshell. "It&apos;s a cool find because ostriches don&apos;t live in Malawi," Kunitz says. "It could be more evidence of trading. Or maybe ostriches lived there in the past, although there is no historical record of that. It&apos;s kind of a mystery." In Malawi, Suzanne Kunitz holds an African land snail recovered at a dig site. They took turns manning a total station — an electronic surveying instrument mounted on a tripod. Each time an artifact more than one-centimeter long was found, they would view it through the total station&apos;s electro-optical scanner and record its precise geo-coordinates. The students also assisted local technicians in the more difficult task of sifting through the dirt. Kunitz and Davis teamed up to dig at one site, which was studded with termite mounds. 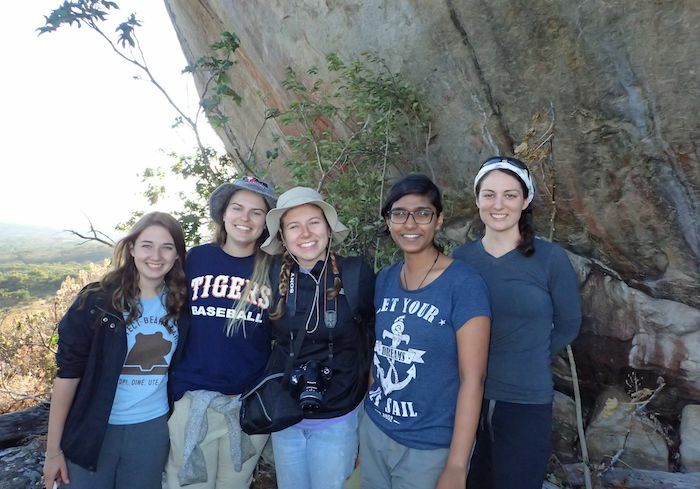 In the field, from left: Alexa Rome, Alexandra Davis, Suzanne Kunitz, Aditi Majoe and Grace Veatch. 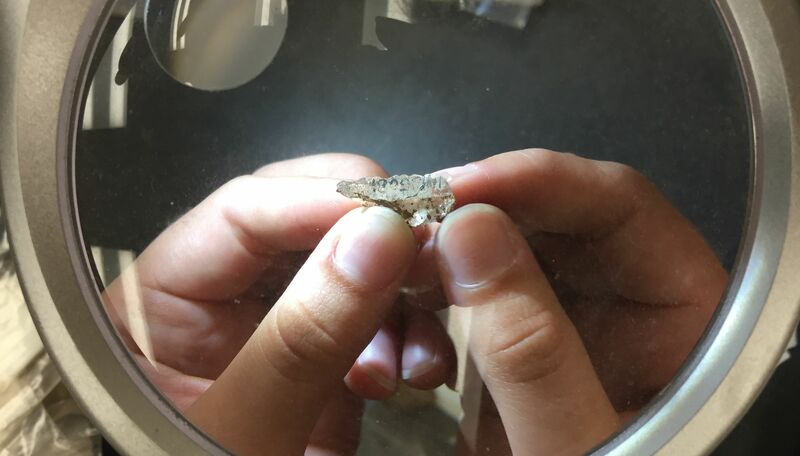 "We pretty much dug through termites for two days," says Davis, who was disappointed to come across only one bone fragment — of a medium-sized animal. Later, the bone was dated to 8,000 years old. "It was freezing," Kunitz says. "But we bundled up and stuck it out." Majoe spent two days digging in a cave, using a small trowel to gently work through the sandy soil. "It was dark — I had to wear a headlamp to see what I was doing," she says. "It&apos;s not very glamorous work. You&apos;re in a hole surrounded by dead things and dirt." 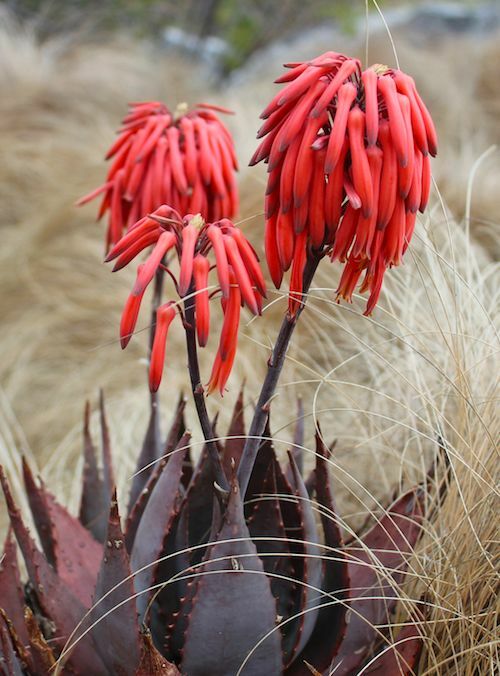 A blooming succulent in the unique highlands&apos; ecosystem. 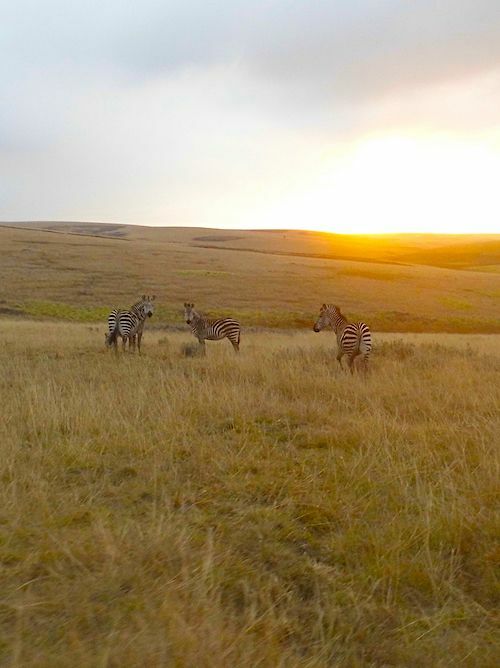 Zebras at sunrise in the hilly terrain. 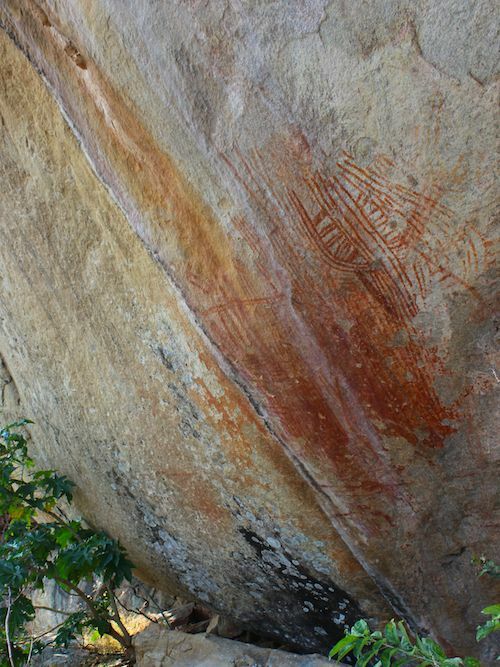 Ancient rock art, likely made by hunter-gatherers. A highlight for everyone occurred at a dig site on the slopes of a peak called Mount Hora. One of the local excavators said that he found something interesting and called everyone over. "It was human remains, part of an elbow joint," Veatch says. "That was a big moment." Radiocarbon dating would later reveal that the elbow joint was more than 9,000 years old. 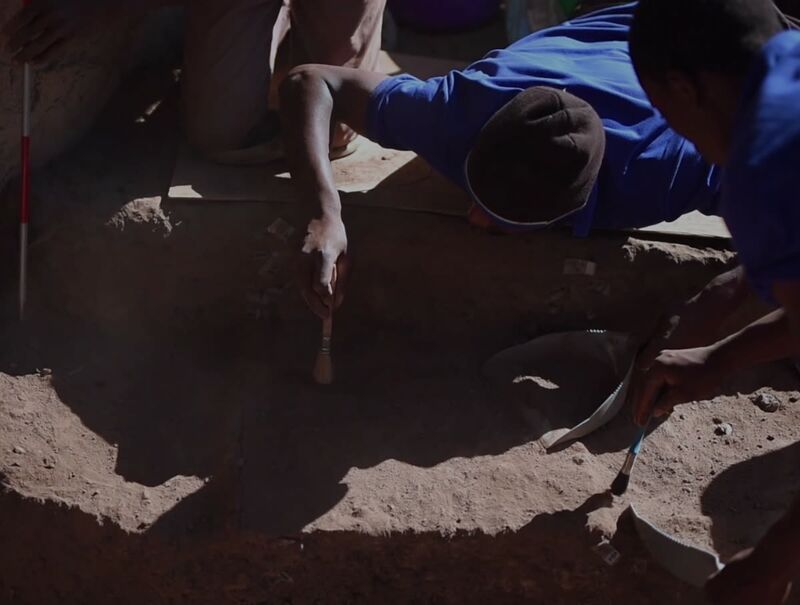 This summer, Thompson and her student team will continue excavating the site to try to determine whether the burned human remains were part of an intentional cremation, which would make it the oldest cremation site discovered in Africa. "It was cool to find a human bone," Rome says. "I love looking at stone tool flakes, don&apos;t get me wrong. But when you find human remains it feels a little more real. That was an actual person." Ultimately, the experience of sifting through the human past made Rome feel more connected to people in the present. "We all got really close over the seven weeks we spent together in Malawi," she says. "Our last night there, we went out to dinner at a vegetarian Indian place. The food was really good. We had finished all the hard work and we were talking and laughing, joking around. That was one of the best times of my life." Field video and field photos by Jessica Thompson. Lab photos by Carol Clark, except where otherwise indicated.